Newly bought a new Google Nexus 7? 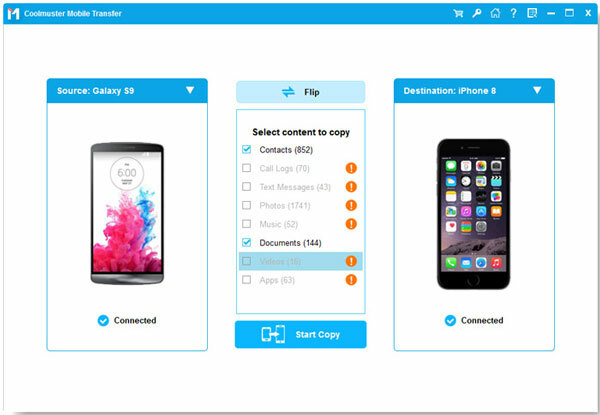 The first thing that you'll probably to do is move all the important and curial data, such as phone numbers and other contact information, from your old Samsung Galaxy S4/S5/S6/Note to the new one. You may realize the inconvenience of transferring contacts from one phone to another phone because they are located in the internal memory space, which is not as convenient as transferring media files that are stored in external memory. Things can be easy as long as you have the Mobile Transfer, with which you can move contacts between your Samsung Galaxy and Google Nexus phones within 1 click. What's more, all contact information can be preserved during the transfer, such as phone numbers, names, job titles, email address and so forth. 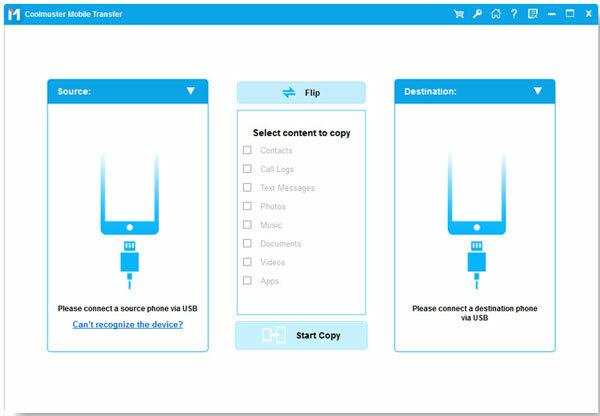 This phone transfer tool can also help you move more contents such as apps, text messages, call logs, music, photos, videos and calendar between Android and iOS, iOS and Symbian, Android and Symbian. How to Transfer Samsung Galaxy S7/S6/S5/Note Contacts to Nexus? Step 2. Choose the first "Phone to Phone Transfer" mode and click "Start" button in the below. Then, the two connected Samsung Galaxy and Google Nexus phones will be displayed on the interface. Step 3. Click the tab labeled "Contacts" on the top menu and preview all contained phone numbers in the source phones. Tick out the contacts you want to transfer to the other phone and hit the right or left arrow direction to start the transfer.